The Torino was restyled for the 1970 year with a sleek coke bottle shape ostensibly designed with aerodynamics in mind, but the only thing the Torino had in common with a B-58 Hustler is that they were both relics from another era destined for extinction. 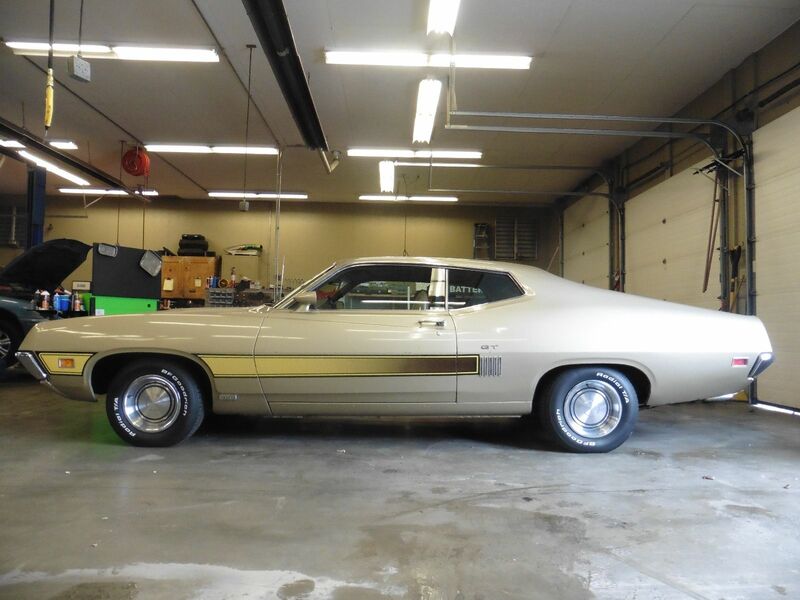 Find this 1970 Ford Torino GT here on eBay bidding for $12,300 with 2 days to go, located in Springfield, MO. You've seen this 1973 Saab Sonett III Custom before, but it is now bidding here on eBay ( from a different seller) for $3,905 with auction ending on Thursday. This next car comes from a tip from Eric who is a friend of the seller and asks the question: Is this worthy of posting on Daily Turismo? I dunno...but I'll give it a shot and you guys can decide. It does have significant street cred among wacky car lovers, a bargain price tag, and isn't something your teenage kids will want to be dropped off at school in...so far so good. 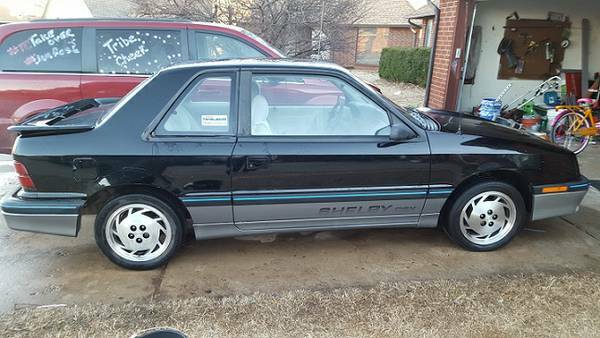 Find this 1987 Shelby CSX offered for $2,700 in Oklahoma City, OK via craigslist. Tip from Eric. The Porsche 968 was the final chapter of the long line of front engine Porsche sports car that started in 1976 with the 924. The 968 didn't have a grunty V8 like the 928 or boosted potential like the 944 Turbo, but it has one of the better shapes from the front-engine Porsche era and the pop-up headlights are just icing on the cake. 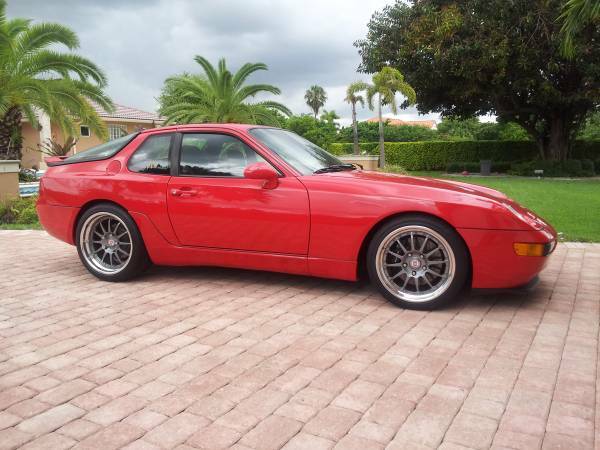 Find this 1993 Porsche 968 with LS1 V8 offered for a trade for a Shelby Cobra, Triple weber 240Z, Pantera, or best offer, located in Miami, FL via craigslist. Take a look at this 1959 Oldsmobile Dynamic 88 sedan bidding here on eBay for $7,500 reserve-not-met with auction ending on Tuesday. This next car is offered at a premium asking price, and you know I'm never keen on paying a premium for anything...but...BUT...wow...this just might be worth the price of admission, particularly if you are a fan of the Karmann coach built body (with styling by Ghia) mounted on Beetle oily bits. 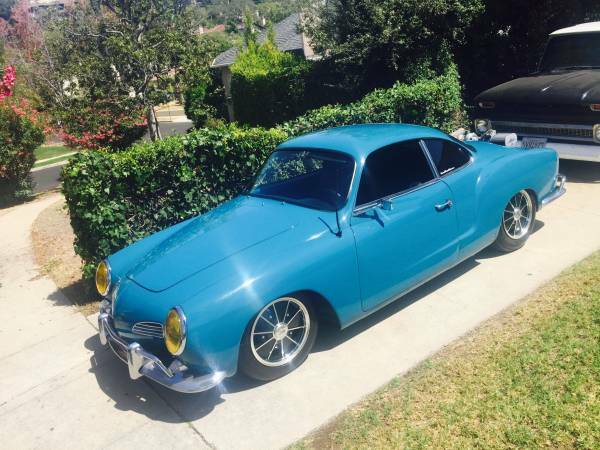 Find this 1966 Volkswagen Karmann Ghia Type 14 offered for $17,990 in West Los Angeles, CA via craigslist. Checkout this 1964 Jaguar S-Type 3.8 liter bidding here on eBay for $2,175 with auction ending on Tuesday, located in Kissimmee, FL. The Triumph 2000/2500 was a mid-sized sedan (saloon) designed by Giovanni Michelotti ((Standard, Triumph , Ferrari, Maserati, BMW, DAF/Volvo trucks), and built in the United Kingdom from 1963 through 1977. 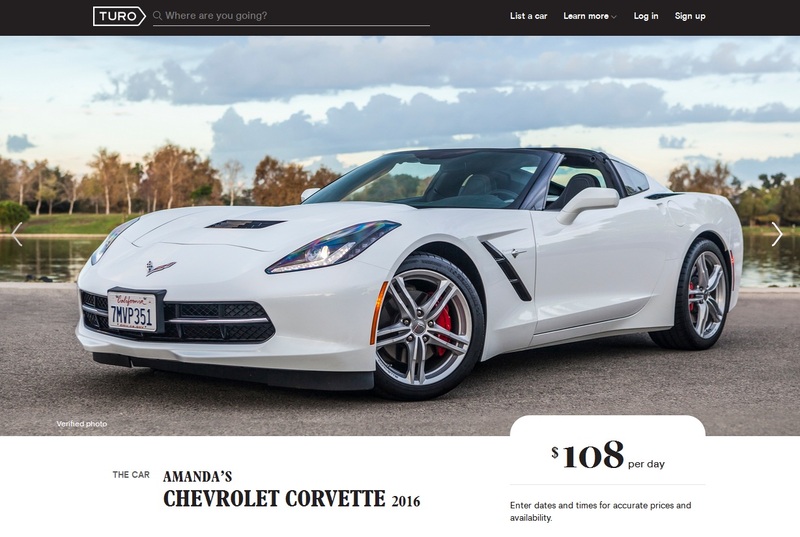 It isn't a car you will find at your local Friday night car show, or even at an annual collection of British cars because the few that were imported have probably rusted into oblivion. 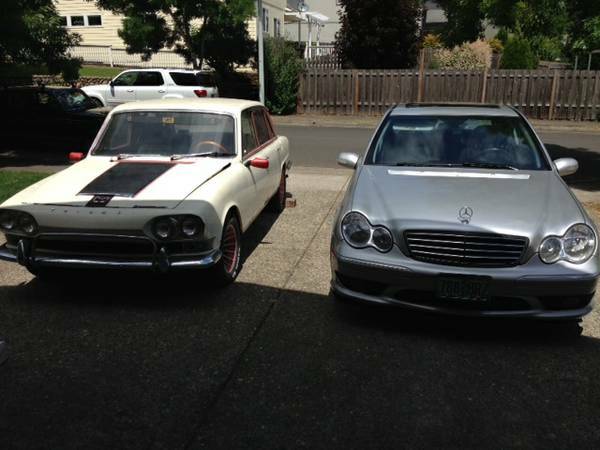 Find this 1967 Triumph 2000 offered for $2,300 in Portland, OR via craigslist. Tip from FuelTruck. 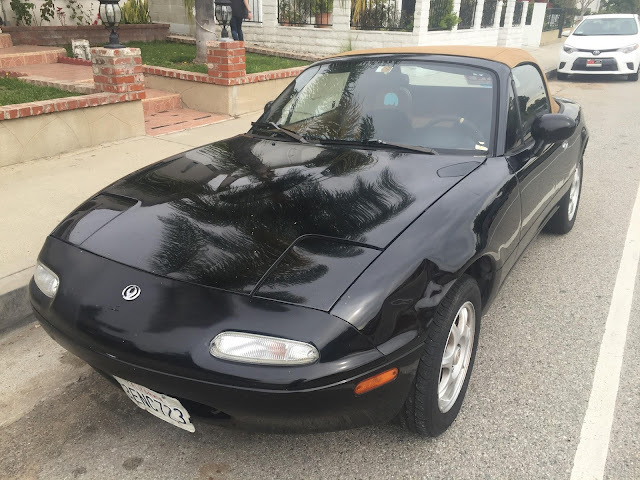 A few weeks back, my scruffy little 1990 NA Miata project trackday car, El Cheapacabra, met an untimely demise. I posted a quick sob story describing the incident, and got some great leads from readers - thank you guys for the input! However, I couldn't help myself from setting up a craigslist alert with a few key criteria: model = Miata, year = up to 1993, transmission = manual, price =< $3500. With a barrage of daily autobot emails there were bound to be some good ones, and today I pulled the trigger on El Cheapo's replacement, using insurance payout cash to buy this 1993 "C package" car in black & tan. Hooray! Back to jinba ittai for me. The Daihatsu HiJet is Japanese built micro van that has been a solid entry to the Kei-truck scene since its introduction in 1960. Daihatsu was on their 7th generation by the time this Van was released into the wild, but they were still designed with city transportation requirements in mind and a top speed that won't make you happy on any modern highway....unless you find a HiJet that is powered by a Honda GoldWing motorcycle engine. Find this 1989 Daihatsu HiJet Van offered for $4,500 in Port St. Lucie, FL via craigslist. Tip from dascpcu. Here is a pointy bumper 1974 MGB in excellent condition here on eBay bidding for $8,500 reserve-not-met with auction ending on Saturday. The Ford Model A was the successor to Ford's famous Model T - and at one time littered the American automotive landscape like cockroaches at a food truck festival. Ford sold a staggering 4.8 million of these little runabouts between 1927 and 1931 in an array of styles including panel vans, fordor sedans, roadsters, pickups, roadster-pickups and coupes. Today's next feature is built from the front half of a Model T touring, but uses the chassis/engine of a Model A: Find this 1930 Model A Ford Racecar offered for $8,500 in Taunton, MA. Take a look at this 1971 Ford Torino Sportsroof project with 351 V8 here on eBay bidding for $4,701 with auction ending on Saturday, located in Waterville, OH. The 1969-1970 Ford Mustang fastback is one of the better looking cars to ever leave a factory in Detroit, and I'm not just saying that because I've got one in the garage. Actually they didn't just leave factories in Detroit, because at the height of Mustang madness they left assembly plants in Dearborn, San Jose, New Jersey, Mexico City, and Venezuela. Regardless, the '69 Sportsroof as designed by the guys under Gale Haldeman is something special. Find this 1970 Ford Mustang Mach 1 here on eBay bidding for $13,000 with 2 days to go, located in Erlanger, KY. The R56 generation Mini Cooper was assembled from a variety of European parts in Oxfordshire, England and was about as English as Boutros Boutros-Ghali. This next Mini started life as a standard (BMW designed and built) hatchback but was converted into a pickup truck for RedBull advertising purposes by California based Custom CRS. Find this 2007 Mini Cooper offered for $6,500 in Rochester, NY via craigslist. Welcome to another edition of DT's Thursday Twister, the game that has more change than a broken slot machine. This week, I want to ask you, dear reader, what is your favorite color...(or favourite colour for our British and Canadian readers...OK, the rest of the English speaking populace).